AHMED NOEMAN is a system engineer at Texas Instruments Germany currently developing design solutions for factory automation applications. 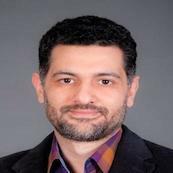 Ahmed has many years of experience in analog and RF design, AMS modeling, and verification, as well as application and system engineering in a wide range of fields including RF transceivers, clocks and PLLs, memory systems. Ahmed received his BSC and MSEE from Ain Shams University, Egypt.